I was just poking around CL looking for an early 325i E90 with a manual now that they’ve dropped below $5k and stumbled across this. 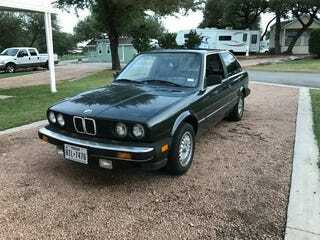 Current owner of that 325e that PG owned for a while and did and FP review of is up for trade. Or maybe sale. I’m not really sure. Ad is kind of a mess because Craigslist. Looks like it has had some mods done and take a bit of abuse with this owner. Still, it’s opportunity to own a piece of Jalopnik history if any of you crazies are interested.